What is a click action? How to set a click action Click action types Touch/grab (default) Sit on object Buy object Pay object Open Play parcel media Open parcel media What is a click action? A click action enables you to interact with an object with a single left click. In addition, each click action has a special cursor indicating what it does. This makes using objects easier, especially for new Residents. For example, if something has the Buy object click action, you will see a L$ cursor when you hover your mouse cursor over the object. You can then purchase it by clicking once, then clicking again to confirm the purchase. How to set a click action To set a click action for an object: Right-click on the object. Choose Edit. The Build Tools window appears (shown at right). In the General tab, choose the desired click action from the Click To: list. Close the Build Tools window. Click action types You can select the following click actions: Touch Sit on object Buy object Pay object Open Zoom Touch This is the default, and invokes no special click action. If the object is scripted, it responds to what it's programmed to do when someone clicks on it. Also, if you hold down Ctrl (PC) or Cmd (Mac), the cursor changes to a hand, and you can move objects you have permission to. Sit on object The cursor changes to a chair when you hover over the object. When clicked, your avatar sits on it (or tries to), with the same result as right-clicking the object and selecting Sit Here. Also makes it easier to sit on an object instead of right-clicking and choosing Sit Here repeatedly, which tends to result in "No room to sit here..." error messages on narrow and odd-shaped objects. Make stuff easier to sit on from Torley on Vimeo. Buy object Requires the object to be set for sale. The cursor changes to a "$" when you hover over the object. When clicked, a Buy window appears, then you can purchase, with the same result as right-clicking the object and selecting Buy. Pay object Requires a pay script in the contents to work, and is a common alternative to Buy object when choose-your-own-price flexibility, stats tracking, and other options are needed. The cursor changes to a stack of coins when you hover over the object. When clicked, a pay window appears, with the same result as right-clicking the object and selecting Pay.... Open You must own the object and it must have contents to open it. Very useful if you sell content which is intended to be packaged and "unwrapped" from boxes. The cursor changes to an open box when you hover the object. When clicked, an Object Contents window appears, with the same result as right-clicking the object and selecting Open. Play parcel media Requires a parcel with associated media (see parcel media). You can make the media screen itself a click action-enabled object, which allows someone to click on the screen to start or pause a movie. If the parcel movie isn't playing, the cursor changes to a play icon when you hover over the object. When clicked, the movie plays. If the parcel movie is playing, the cursor changes to a pause icon when you hover over the object. When clicked , the movie pauses! The result is the same as clicking the Play button on your toolbar, only more immersive since it's inworld. PARCEL MEDIA: Click actions from Torley on Vimeo. Open parcel media Use this with web pages and similar web media to provide a larger view. The cursor changes to a link icon when you hover the mouse cursor over the object. When clicked, the webpage opens in the inworld web browser OR your external web browser, depending on your preferences. If used on a parcel with a movie, it functions the same as Play parcel media, but with no pause option. The coalesce feature Coalesced object relationships Caveats about coalesced objects Troubleshooting selecting objects Sandboxes Public Linden sandboxes Public Resident-owned sandboxes Building with other Residents The group method The friend method Tip: For an overview of the tools available for building objects in the Second Life world, see the Build Tools article.? The coalesce feature A coalesced object is a combination of objects taken or returned into inventory together.? You can use shift-select or drag-select to coalesce two or more objects. Try this experiment to locate your coalesced object in My Inventory: As this experiment shows, coalesced objects are found in My Inventory with the name of the last object selected. When the selected objects are taken into inventory, the coalesced object is located in the Objects folder. When they are returned, the coalesced object is located in the Lost And Found folder. Note: Single objects in inventory have an icon that looks like a cube (), while coalesced groups of objects have an icon that looks like a stack of cubes ().? Coalesced object relationships When an object is placed inworld, it has coordinates that identify its location on the grid. These XYZ coordinates are relative to the region the object is placed in. When more than one object is taken or returned into a coalesced object and then rezzed at a new location, each object shows different XYZ values relative to the new location, however the objects maintain their spatial relationship to each other. For an introduction to coalesced object relationships, take a look at this quicktip video: Now that you see how objects maintain their relationships to each other, you can use this information when creating a coalesced object on a large parcel and rezzing that object on a smaller parcel. Since the objects maintain their relative positions, you will need enough square meters of land to rez the coalesced object again. Caveats about coalesced objects Rezzing a coalesced object near a parcel/region boundary may result in objects being returned to inventory. 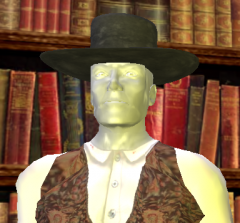 Coalesced objects have prim limits because the time required to rez them can exceed the capacities of Second Life's servers, causing problems when Residents attempt to take complex coalesced objects into inventory. To rez an object that exceeds the prim limit, create a support ticket requesting that the object be broken into a set of smaller objects. Private Region owners can rez Linden trees. When using the Click-Drag-Select method for your content, make sure the selection area does not contain Linden trees unless you are planning to rez the coalesced object on a region that you own. Take the same precautions when using Shift-Select. If you have a coalesced object with Linden trees or would like to learn more, watch this video tutorial: Selecting moving objects can cause those objects to go offworld when you rez the coalesced object. Either take those objects into inventory separately, or, if you want to turn off all scripts in all of the selected objects, go to Build > Scripts > Set Scripts to Not Running. Warning: If your coalesced object contains one or more no-copy objects and is rezzed across the boundary of a parcel where building isn't allowed, the content will not return to your inventory, resulting in content loss. Don't rez coalesced objects close to no-build parcels from Torley on Vimeo. Warning: A maximum of 1000 scripts can be rezzed at once! If you are creating a coalesced object with many scripts, try creating objects in sections that contain scripts so that you will be able to rez those objects again. If you have valuable content, take those items into inventory before taking or returning your other items. Troubleshooting selecting objects Right-clicking an object and choosing Edit normally selects it. Alternatively, in Edit mode, you can drag and draw a selection rectangle over the objects. If both of these fail to make object outlines appear (indicating they have been selected), then try the steps below. Go to Build > Options. Uncheck Select Only My Objects if you're trying to select objects owned by another Resident. This includes a friend who's given you permission to edit their objects. Uncheck Select Only Movable Objects if you're trying to select an object you can't move. This is generally determined by Allow anyone to move in the General tab of the build tools, but also applies to group-deeded objects and objects a friend has allowed you to edit. Uncheck Select By Surrounding if you have a hard time using the selection rectangle to select objects. Re-select the desired objects. Sandboxes A sandbox is a parcel of land which has been put aside for building practice. Much like real sandboxes and conceptual sandbox games, these are spaces of creativity and chaos. Several sandboxes exist for specific purposes — such as the Weapons Testing Sandbox — but the majority are simply for regular building. Signs within each sandbox area make it clear what kind of activities are allowed there. Sandboxes usually have auto return enabled to clean themselves several times a day; look for auto-clean info before building, so you aren't caught by surprise. Since sandboxes are experimental, they may also be unstable — be sure to regularly take inventory backups of anything that's important. What is a sandbox? from Torley on Vimeo. Public Linden sandboxes These full-region sandboxes are owned by Linden Lab: Sandbox Cordova - Push scripts off. Sandbox Goguen - Push scripts off. Sandbox Newcomb - All scripts off. Sandbox Wanderton - All scripts off. Sandbox Island - Push scripts off. Sandbox Island Extension - Push scripts off. Sandbox - Weapons testing (no damag - Push scripts on; damage off. Combat (sandbox) - Red Team's HQ - Damage-enabled; you can be killed here (and teleported home). Combat (sandbox) Rausch - Damage-enabled; you can be killed here (and teleported home). Combat (sandbox) - Blue Team's HQ - Damage-enabled; you can be killed here (and teleported home). Zindra Vortex - Located on the Adult continent Zindra. There are also these partial-region sandboxes, smaller than the above but still useful if you're nearby: Sandbox Morris - Near the famed Morris-Ahern Welcome Area. Sandbox Plum - Near Lime, which was at one time a Welcome Area and a copy of the even-older Morris design. This area used to be deathly quiet but it's since picked up traffic. Here "landbox" for terraforming - Feel free to reshape the terrain. Watch a video tutorial showing you how. Public Resident-owned sandboxes These sandboxes are Resident-owned and may have additional features and restrictions. You can find many by using Search's All tab and searching for "sandbox". Public Sandbox (Open Source Code Developers) - NO auto-clean! and scripts enabled. Combat (sandbox) Core - Damage-enabled; you can be killed here (and teleported home). Amicitia Sandbox (small, quiet, friendly beach sim) PSG II - Columbia Mature Sandbox Ferox Tropical Island Sandbox PSG III - Hyboria Mature Sandbox Little Blue Island Sandbox PSG - Mauve Public Sandbox - General Mobit Sandbox Pixelpark sandbox (mostly german) Solvo - land and water sandbox - General Fermi Sandbox 3DBuildEasy Sandbox Building with other Residents There are a couple of ways to allow friends to edit your objects in Second Life. This is often referred to as collaborative building or collaborative creation. It's a useful way to let groups of people collaborate on a building project together. The group method Right-click the object and choose Edit to bring up the object editor. Click on the General tab in the editor. Click on the Edit Wrench to the right of Group and assign the object to the group your friend is in. Select the checkbox below. Note: If you want other group members to be able to take copies of your object, you should make sure to set the next owner permissions (Modify, Copy, Transfer) appropriately. Note: Any other group members will also be able to edit the object. Group members can only edit objects that are shared with the group. Object-related group permissions (and friend permissions) are explained in this video tutorial: Let friends & groups edit your objects from Torley on Vimeo. The friend method Open your friends list by clicking the People button at the bottom of the Viewer window and choosing MY FRIENDS. View your friend's profile by clicking the View profile icon on the far right by his or her name. From the Actions dropdown menu, select Permissions. Select the Edit, delete or take my objects checkbox. Important: This gives your friend the abililty to edit all of your objects. Making sure you are shown as the creator of an object It sometimes happens that a skin or shape you've modified and prepared to sell still lists someone else as the creator. (To view the item's creator, right-click it in Inventory and select Object Profile.) This tends to happen if you use one of our system default avatar templates in your Inventory's Library > Clothing folder. If the item is fully permissive, then there are no functional restrictions: you can modify and sell it. For the sake of consistency, you may still prefer to have your name listed as its creator. To make sure your name is listed as the creator of an object: Click the Inventory icon on the toolbar. Click the + button at the bottom. You'll see you can make new item types like scripts, notecards, gestures, clothes, and body parts. All of these will list you as creator. Try it and see! While you cannot change the creator of an item, you can copy a modifiable item's settings to another item that lists you as creator. For example, a body shape consists of numerous slider settings, so you can reproduce the shape by using the same slider settings. Important: Respect intellectual property! Don't use the technique above to infringe on someone else's copyright. All objects you originally rez inworld are created in your name. If you link multiple objects together to form a linkset (Build > Link), the last selected prim will be the visible creator when an object's properties are shown, although that doesn't tell the full story. To show all prim creators in an object: Right-click the object. Click Object Profile. The INVENTORY window opens. Click the Details button at the bottom of the window. This opens a window that lists the individual prims and who originally created them. HUD basics Using HUDs Troubleshooting HUDs Moving your HUDs If wearing one HUD makes another disappear If you can't see your HUD Advanced usage HUD basics A heads-up display (HUD) is a two-dimensional user interface element that controls inworld elements, such as your avatar or animations. A HUD typically consists of a control panel with buttons that do certain things; you activate it by "wearing" it as you would an article of clothing. HUDs are created by Residents using LSL. For more information, see HUD. HUDs are used in many kinds of products where information needs to be directly communicated to you. Popular uses include: Animation overrides - Click buttons to change how your avatar looks when moving. Books - HUDs are useful for viewing info that may be tricky to camera-zoom in on. Combat systems and games - See your health, stamina, experience points, and other relevant in-game info. An HUD can be a whole game experience, similar to casual gaming in a web browser. (In fact, with Shared Media, an HUD can show Flash-based games.) Customizable attachments - Click color swatches to change your hair, clothes, shoes, or more exotic accessories like neko tail and ears. Make particle effects (like fire and smoke). Multi-tools - Gadgets that consolidate various practical functions in one HUD. Photo enhancements Vehicles - Use HUDs to display features such as dashboards with speedometers, gear indicators, and distance traveled. Location - Shows a GPS position indicating where you are on the sim with the X and Y location on a map. Tip: You can browse and buy many HUDs on the Second Life Marketplace Using HUDs After you get a HUD (and unpack it if necessary), it appears in your inventory, perhaps in a folder (with notecard instructions and a landmark to the store it came from). Right-click the HUD and select Wear to automatically attach it to the point the HUD creator set when they made it. If there are buttons, they may be labeled, and you can often safely explore by clicking them to see what they do. Note: Any Second Life object can be attached to any attachment point. However, attaching something as a HUD that is not designed as one may not be very useful. For example, attaching a house object may show up as a big, wood-textured square that obscures your field of view. Troubleshooting HUDs Moving your HUDs To move an HUD you're wearing: Right-click the HUD onscreen (not in your inventory) and select Edit. Drag the arrowheads to reposition the HUD. The HUD remembers its position the next time you log in. In some circumstances (like a sudden Viewer crash), the HUD may forget its position, so use this workaround in addition to the above: Right-click the HUD and select Detach. Find the HUD in your inventory, right-click it and select Wear. Reposition the HUD following the steps above. If wearing one HUD makes another disappear These HUDs are being worn on the same attachment point. To solve the problem: In your inventory, right-click one of the HUDs and select Attach To HUD. You will see the list of attachment points and, in brackets, which HUDs are currently attached to them. Select an attachment point that isn't already occupied. Reposition the HUD as desired using the steps above. Also, in Viewer 2.4 and newer, you can attach multiple objects to the same point. If you can't see your HUD Follow these steps to retrieve an off-screen HUD. Create a cube. Right-click the cube and select Put On > Attach HUD > Center. Move your scroll wheel down or hold Alt + left mouse button and drag your mouse cursor down. The screen reduces and anything offscreen becomes viewable. Locate the missing HUD and put it into edit mode by right-clicking on it and selecting Edit. Using the arrows that appear in edit mode, move the missing HUD back onto the screen. Scroll the mouse wheel or hold Alt + left mouse button and move the mouse up to bring it back to size. Right-click the cube you attached as a HUD and select Detach. If the HUD is hidden: Go to World > Show > Advanced menu. From the Advanced menu at the top of the Viewer window, select Highlighting and Visibility > Show HUD Attachments. Advanced usage For advanced information on using HUDs, see Creating HUDs. Tradução cortesia Linden Lab. Pré-requisitos Custo do upload PARA COMEÇAR: Como carregar seu primeiro modelo 1a. etapa: Selecione o modelo a ser carregado 2a. etapa: Defina os níveis visuais de detalhamento 3a. etapa: Defina a forma física do modelo 4a. etapa: Modificadores 5a. etapa: Calcule os pesos e custo 6a. etapa: Carregar Seção complementar: Opções de aplicação Como vestir um modelo com aplicações In other languages: English Deutsch Español﻿ Français Italiano 日本語 Observação: Este é um passo-a-passo básico de como carregar um modelo. Leia Model Upload UI reference para obter todos os detalhes e parâmetro de upload de modelos. Pré-requisitos Antes de carregar objetos de mesh, você precisa de: Ter cadastro com dados de pagamento. Para fornecer seus dados de pagamento, acesse a seção Dados de pagamento na página da sua conta no Second Life. Veja o Tutorial Mesh IP (se você usa a grade beta Aditi, clique aqui) e confirme que está ciente das leis de propriedade intelectual. Certifique-se de que você detém os direitos autorais ou autorização do proprietário antes de carregar conteúdo de mesh. A infração de direitos autorais pode resultar em suspensão ou fechamento da sua conta no Second Life, ou até revogação permanente do seu direito de carregar objetos mesh! Tenha pelo menos um arquivo compatível com COLLADA (.dae) no seu computador. Use os softwares 3D mais populares para criar o seu, ou se tiver autorização para tal, baixe modelos de outros artistas 3D obtidos de inventários online. Se você é iniciante, confira a página exemplo para usar um modelo grátis. Verifique o status do seu upload a qualquer momento na página da sua conta, no site do Second Life. Custo do upload Será cobrado um valor em dólares Linden para o carregamento, dependendo do nível de complexidade do modelo. Durante a fase beta, haverá um desconto. PARA COMEÇAR: Como carregar seu primeiro modelo Se você está carregando modelos mesh no Second Life pela primeira vez, veja as instruções abaixo para começar. Não se preocupe com todos os controles da janela de upload por enquanto; elas são para residentes que desejam ter controle sobre a aparência e física de seus modelos. Leia abaixo uma descrição mais detalhada do procedimento de upload: Para carregar um modelo de mesh: Selecione um arquivo .dae no seu computador em Construção > Upload > Modelo. Se você não possui nenhum modelo no seu computador, baixe um da página de exemplos page. Para ver uma renderização automática dos níveis de detalhamento, use a guia Nível de detalhamento no menu suspenso Visualizar. Veja como a complexidade do objeto é reduzida a diferentes níveis. Clique na guia Física e depois no botão Usar nível de detalhamento. Clique na guia Modificadores e selecione outras opções para o seu modelo, como texturas. Clique em Calcular pesos e custo para calcular os pesos em recursos, custo em prims e em dólares Linden. Clique em Upload para carregar seu modelo no Second Life. Dica: Para não gastar seus dólares Linden enquanto você testa o upload do seu modelo, use a grade de visualização chamada "Aditi". Com a grade de visualização você pode testar as opções selecionadas e saber o custo delas em um ambiente controlado de testes, usando uma cópia da sua conta no Second Life. Opções feitas na grade de visualização não afetam seu inventário ou saldo em L$ na grade principal do Second Life. 1a. etapa: Selecione o modelo a ser carregado O Second Life aceita arquivos de modelo em COLLADA (.dae), que podem ser criados e editados softwares de modelagem 3D mais conhecidos. Se você não possui nenhum modelo no formato COLLADA no seu computador, baixe um da página de exemplos page. Para carregar um modelo de mesh: Selecione Construir > Upload > Modelo... Selecione o arquivo .dae no seu computdor e clique em Abrir. Na janela Carregar modelo, digite um nome para o seu modelo no campo Nome. Se seu modelo contém texturas, clique no ícone da Engrenagem e selecione Mostrar texturas para ver se as texturas estão corretas. 2a. etapa: Defina os níveis visuais de detalhamento O nível Baixo de detalhamento foi escolhido para um arco arquitetônico. O nível de detalhamento define a aparência do seu modelo de diferentes distâncias. Conforme o modelo fica mais longe, sua renderização diminui para melhorar o desempenho visual. O Second Life cria estes modelos com menor detalhamento por padrão, mas você pode usar esta etapa para checar cada nível ou até carregar modelos com menor nível de detalhamento. Para visualizar seu modelo a qualquer nível de detalhamento, selecione o nível no menu suspenso Visualizar. Ao visualizar seu modelo a cada nível de detalhamento, você pode alterar os parâmetros para simplificar o modelo original usando o botão Gerar automaticamente. Leia Model Upload UI reference para obter todos os detalhes e parâmetros de upload de modelos. Ou carregue o modelo que você mesmo simplificou em Carregar de arquivo. Para manter detalhes essenciais que podem ser perdidos durante o processo de simplificação automática, crie seus próprios modelos com menos detalhes. 3a. etapa: Defina a forma física do modelo A interpretação da forma física de um modelo pelos cálculos físicos de colisão do Second Life pode ser diferente da forma física do modelo. Por exemplo, vale a pena simplificar um veículo altamente complexo para a forma física de um cubo, mantendo a complexidade visual (que requer menor poder de computação) sem exigir demais da capacidade de processamento de objetos físicos da região. Você também pode carregar sua própria representação física como um arquivo .dae ou usar as ferramentas de análise e simplificação do Second life para gerar a forma física automaticamente. A forma mais fácil de gerar um modelo físico para o seu objeto é selecionar Usar nível de detalhamento e selecionar um dos níveis de detalhamento do menu. Assim, o modelo físico será criado baseado em um dos níveis visuais de detalhamento. Lembre-se de que o melhor é reduzir o custo físico, portanto selecione o menor nível de detalhamento que represente o formato do seu modelo. A 1a. etapa não é obrigatória. Análise ou 2a. etapa: Simplificação a não ser que o seu modelo físico seja extremamente complexo ou exiba linhas vermelhas na janela de visualização. Para mais informações sobre a análise física e das ferramentas de simplificação, leia Referência de upload de modelos para a UI. 4a. etapa: Modificadores Antes de fazer o upload, selecione quaisquer parâmetros opcionais na guia Modificadores tab: Escala: Altera o tamanho inicial do modelo. Aumentar a escala reduz o consumo de recursos. Incluir texturas: Inclui quaisquer texturas aplicadas ao modelo COLLADA. As texturas são aplicadas automaticamente à versão Second Life do modelo quando ele for carregado. Incluir peso da pele: Inclui os dados de peso da pele do modelo do arquivo COLLADA. Aplica-se somente a modelos que se mexem e mudam conform o avatar se movimenta quando são vestidos como anexos de avatar. Incluir posição das juntas: Inclui os dados de posicionamento das juntas do arquivo COLLADA. Aplica-se somente a modelos que irão alterar as posições das juntas do avatar quando são vestidos como anexos de avatar. Ângulo pélvico Z: Muda o posicionamento vertical de um modelo aplicado. 5a. etapa: Calcule os pesos e custo Quando você clicar em Calcular pesos e custo, o Second Life calcula o peso de download, físico e de servidors do seu modelo para determinar seu custo em equivalência de prims e o custo de upload em termos de dólares Linden. O custo-base em dólares Linden é de L$10, acrescidos de L$10 par cada textura aplicada ao modelo, além dos custos calculados segundo a complexidade do modelo. Observação: O custo-base de L$10 de upload é provisório durante a fase beta. Talvez este valor aumente quando o recurso de upload de betas sair da fase beta. Para saber mais sobre pesos e a equivalência de prims, consulte Cálculo do peso equivalente em prims. 6a. etapa: Carregar Quando o modelo é carregado, ele é exibido na pasta Objetos do seu inventário. Assim como todos os objetos no Second Life, você pode arrastá-lo do seu inventário para o chão ou vesti-lo como um anexo. Seção complementar: Opções de aplicação Marque Mostrar peso da pele para ver a aparência do modelo em um avatar parado. A aplicação em modelos permite-lhe representar o esqueleto do seu avatar como um mesh que se adapta às juntas e movimentos do seu avatar. Ou seja, ao vestir um modelo aplicado, ele mudará o comprimento e direção dos membros do seu avatar e seguirá a animação programada. Se o seu modelo em COLLADA incluir dados de posicionamento de juntas e peso da pele, você pode visualizar a aparência do modelo em um avatar parado e com a animação padrão. Basta clicar no ícone Engrenagem na janela de Upload de modelos e selecionar Mostrar peso na pele. Como vestir um modelo com aplicações Para vestir um modelo com aplicação, clique no modelo com o botão direito e selecione Vestir. É comom usar um modelo com aplicações com uma máscara alpha para esconder o formato normal do seu avatar. Traduzione fornita da Linden Lab. Prerequisiti Costo di caricamento PER INIZIARE: Caricare il primo modello Passaggio 1: Selezionare un modello da caricare Passaggio 2: Definire il livello di dettagli visuali Passaggio 3: Definire la forma della fisica del modello Passaggio 4: Modificatori Passaggio 5: Calcolare pesi e tariffa Passaggio 6: Caricamento Sezione aggiuntiva: Opzioni armatura indossare un modello con armatura In other languages: English Deutsch Español Français Português 日本語 Nota: Questa è una panoramica di base su come caricare un modello. Per informazioni complete sui parametri disponibili per caricare un modello, vedere Informazioni di riferimento su come caricare un modello IU. Prerequisiti Prima di poter caricare oggetti con reticolo è necessario: Avere memorizzato le informazioni per l'addebito. Per aggiungere tali informazioni, visitare la sezione Informazioni per l'addebito sulla pagina del proprio account di Second Life. Completare l'Esercitazione proprietà intellettuali reticolo (se invece si usa un reticolo beta Aditi, cliccare qui), per verificare di conoscere le regole relative alla proprietà intellettuale. Verificare di possedere i diritti i di avere l'autorizzazione dal proprietario dei diritti prima di caricare il contenuto del reticolo. In caso di violazione dei diritti di proprietà intellettuale, l'account Second Life potrà essere sospeso o terminato e la possibilità di caricare oggetti con reticolo potrebbe essere revocata in maniera permanente! Avere almeno un file COLLADA (.dae) compatibile sul proprio computer. Si può crearne uno usando uno dei pacchetti software 3D più comuni oppure, se si possiedono i diritti relativi, si possono scaricare da archivi online dei modelli creati da altri artisti 3D. Per iniziare, visitare la nostra pagina Contenuto di esempio per scaricare un modello gratuito. Si può controllare lo stato del caricamento del reticolo in qualsiasi momento visitando la propria pagina account sul sito di Second Life. Costo di caricamento Par caricare un modello è necessario parare una tariffa in dollari Linden; l'ammontare dipenderà dalla complessità del modello. Durante il periodo della beta, viene offerto uno sconto sulla tariffa. PER INIZIARE: Caricare il primo modello Se non si ha esperienza con il caricamento di modelli di reticolo in Second Life, ecco alcune istruzioni da seguire per iniziare. La finestra di caricamento contiene numerosi controlli, ma sono per i Residenti che devono controllare in maniera dettagliata l'aspetto e la fisica del proprio modello. Per informazioni più specifiche sulla procedura di caricamento, seguire le indicazioni seguenti. Per caricare un modello di reticolo: Selezionare un fine .dae memorizzato sul computer selezionando Costruisci > Carica > Modello. Se non è disponibile alcun modello sul computer, si possono scaricare alcuni modelli dalla pagina dei contenuti di esempio. Per visualizzare l'anteprima dei livelli di dettaglio generati automaticamente per il proprio modello, selezionare la scheda Livello di dettaglio nella casella a discesa Anteprima. Notare come viene ridotta la complessità dell'oggetto a ciascun livello. Fare clic sulla scheda Fisica e quindi sul pulsante di scelta Usa livello di dettaglio. Fare clic sulla scheda Modificatori e selezionare le caselle per le funzionalità aggiuntive desiderate, per esempio le texture. Fare clic su Calcolare pesi e tariffa, quindi rivedere i pesi delle risorse, il costo equivalente in prim e il costo in dollari Linden del modello. Fare clic su Carica per caricare il modello in Second Life. Suggerimento: Per evitare di spendere dollari Linden mentre si impara a caricare i modelli, si può utilizzare la griglia di anteprima, detta anche "Aditi". La griglia di anteprima consente di testare nuove funzionalità e di sperimentare design che potrebbero essere costosi in un ambiente sicuro utilizzando una copia dell'account Second Life. Le attività svolte nella griglia di anteprima non influenzano l'inventario o il saldo in L$ della griglia principale di Second Life. Passaggio 1: Selezionare un modello da caricare Second Life accetta modelli COLLADA (.dae), che possono essere modificati e creati in molti pacchetti software per modelli 3D tra i più comuni. Se al momento non è disponibile alcun modello COLLADA sul computer, si possono scaricare alcuni modelli dalla pagina dei contenuti di esempio. Per iniziare a caricare un modello: Selezionare Costruisci > Carica > Modello... Selezionare il file .dae sul computer e fare clic su Apri. Nella finestra Carica modello, inserire un nome adatto per il modello nel campo Nome. Se il modello include texture, fare clic sulla Icona accessori e selezionare Mostra texture per visualizzare correttamente le texture. Passaggio 2: Definire il livello di dettagli visuali Definire il livello di dettaglio basso per un arco architettonico. Il livello di dettaglio determina l'aspetto del modello a distanze diverse. Quando la distanza è maggiore, il rendering viene eseguito con meno dettagli per migliorare le prestazioni visive. Second Life genera questi modelli con meno dettagli per impostazione predefinita, ma si può usare questo passaggio per regolare ogni livello o anche per caricare dei modelli con meno dettagli personalizzati. Si può visualizzare il modello in anteprima a qualsiasi livello di dettaglio selezionando un livello dal menu a discesa Anteprima. Quando il modello viene visualizzato a ciascun livello di dettaglio, si possono cambiare i parametri usati per semplificarlo a partire dal modello originale sotto il pulsante di scelta Genera automaticamente. Per informazioni complete su tali parametri, vedere Informazioni di riferimento su come caricare un modello IU. Oppure si può caricare il proprio modello semplificato selezionando Carica da file. Creare dei modelli a bassi livelli di dettaglio personalizzati può essere utile per mantenere la visualizzazione di dettagli essenziali che potrebbero essere tralasciati durante la procedura di semplificazione. Passaggio 3: Definire la forma della fisica del modello La forma fisica di un modello, interpretata dal motore di Second Life per la fisica per calcolare le collisioni, può essere diversa dalla forma visiva. Per esempio, si potrebbe voler semplificare un veicolo molto complesso nella una forma fisica di una scatola quadrata. In tal modo si può avere un veicolo visivamente complesso che richiede un minimo di elaborazione della fisica e non utilizza eccessivamente la capacità della regione di elaborare oggetti fisici in movimento. Si può caricare la rappresentazione fisica come file .dae oppure si può generare automaticamente una forma fisica utilizzando gli strumenti di analisi e semplificazione di Second Life. Il modo più rapido di generare un modello della fisica per un oggetto è di selezionare una delle opzioni dal menu a discesa Usa livello di dettaglio. In questo modo viene creato un modello della fisica basato sul livello di dettaglio visivo del modello. È preferibile avere un costo della fisica minore, per cui si deve selezionare il livello di dettaglio minimo che rappresenti la forma del modello in maniera ragionevole. Non è necessario completare il Passaggio 1: Analisi o il Passaggio 2: Semplificazione a meno che il modello della fisica sia estremamente complesso e mostri linee rosse nella finestra di anteprima. Per informazioni dettagliate sull'uso degli strumenti di analisi e semplificazione della fisica, vedere Informazioni di riferimento su come caricare un modello IU. Passaggio 4: Modificatori Prima di caricare, selezionare eventuali parametri opzionali nella scheda Modificatori: Scala: modifica la dimensione di base del modello. Aumentando la scala aumenta il costo delle risorse. Includi texture: Include eventuali texture applicate al modello COLLADA. Le texture vengono applicate automaticamente alla versione Second Life del modello quando viene caricato. Includi peso pelle: Include eventuali informazioni sul peso della pelle incluse nel modello COLLADA. Questa opzione viene applicata solo ai modelli che devono muoversi e piegarsi con l'avatar quando vengono indossati come oggetti collegati all'avatar. Includi posizioni giunti: Include le posizioni dei giunti incluse nel file COLLADA. Questa opzione viene applicata solo ai modelli che modificano la posizione dei giunti dell'avatar quando vengono indossati come oggetti collegati all'avatar. Spostamento Z pelvi: Cambia la posizione verticale di un modello con armatura. Passaggio 5: Calcolare pesi e tariffa Quando si fa clic su Calcolare pesi e tariffa , Second Life calcola i pesi di download, della fisica e del server per il modello per determinare l'equivalente in prim e il costo di caricamento in dollari Linden. Il costo di base per il caricamento in dollari Linden è L$10 più L$10 per ogni texture applicata al modello e un costo aggiuntivo in base alla complessità del modello. Nota: il costo di base di L$10 per il caricamento di un modello con con reticolo è temporaneo e valido solo per il periodo della fase beta. Questa tariffa potrebbe aumentare al termine della fase beta della funzione di caricamento dei reticoli. Per maggiori informazioni sui pesi e l'equivalenza ai prim, vedere Calcolo ponderazione equivalente prim. Passaggio 6: Carica Quando si carica un modello, viene visualizzato nella cartella Oggetti nell'inventario Come con tutti gli oggetti di Second Life, si potrà trascinarlo dall'inventario al terreno o indossarlo. Sezione aggiuntiva: Opzioni armatura Selezionare Mostra peso pelle per visualizzare in anteprima il modello su un avatar in pausa. I modelli con armatura permettono di rappresentare l' scheletro dell'avatar come un reticolo che si adegua ai giunti e ai movimenti. In questo modo si può indossare un modello con armatura che modifica la lunghezza e la direzione degli arti dell'avatar ed esegue l'animazione di conseguenza. Se il modello COLLADA contiene informazioni sulla posizione dei giunti e sul peso della pelle, si può visualizzare in anteprima l'aspetto con un avatar in pausa facendo clic sulla Icona accessori nella finestra Carica modello e selezionando Mostra peso pelle. Indossare un modello con armatura Per indossare un modello con armatura, fare clic con il pulsante destro del mouse sul modello nell'inventario e selezionare indossa. Spesso potrebbe essere utile utilizzare un modello con armatura in combinazione con una maschera alfa per nascondere l'la forma originale dell'avatar. Traduction fournie par Linden Lab. Conditions préalables Coût du chargement DÉMARRAGE : Chargement d'un premier modèle Étape 1 : Choisir un modèle à charger Étape 2 : Définir des niveaux de détails visuels Étape 3 : Définir la forme physique du modèle Étape 4 : Modificateurs Étape 5 : Calculer les poids et les frais Étape 6 : Charger le modèle Bonus : Options de gréement (rigging) Port de modèle avec gréement (rigging) In other languages: English Deutsch Español﻿ Português Italiano 日本語 Remarque : il s'agit d'instructions basiques sur le chargement des modèles. Pour plus de détails sur les paramètres associés à cette opération, consultez l'article Interface utilisateur de chargement de modèle. Conditions préalables Les conditions suivantes doivent être remplies avant de procéder au chargement d'objets de maillage : Avoir enregistré des informations de paiement. Pour ce faire, accédez à la page des informations de paiement de votre compte Second Life. Avoir suivi le didacticiel sur la propriété intellectuelle relative aux maillages (si vous utilisez la grille bêta Aditi, cliquez ici) permettant de vérifier que vous connaissez les règles sur la propriété intellectuelle. Vous être assuré que vous détenez les droits ou que vous disposez de l'autorisation du propriétaire des droits relatifs au contenu de maillage avant de le charger. Toute violation de droits de propriété intellectuelle est susceptible d'entraîner la suspension ou la résiliation de votre compte Second Life, voire même une révocation définitive de votre capacité à charger des objets de maillage. Disposer d'au moins un fichier COLLADA (.dae) compatible sur votre ordinateur. Vous pouvez créer votre propre maillage à l'aide des logiciels de 3D les plus prisés ou, si vous disposez des droits appropriés, vous pouvez télécharger des modèles créés par d'autres artistes 3D à partir de référentiels en ligne. Visitez notre page d'exemples de contenu proposant des modèles gratuits pour débuter. Vous pouvez vérifier votre état de chargement de maillage à tout moment en consultant la page de votre compte, sur le site Web de Second Life. Coût du chargement Des frais sont facturés en Linden dollars pour charger un modèle. Ils varient en fonction de la complexité du modèle. Une réduction de ces frais est appliquée au cours de la durée de la bêta. DÉMARRAGE : Chargement d'un premier modèle Si vous n'avez jamais chargé de modèles de maillage dans Second Life, voici quelques instructions rapides et faciles pour vous lancer. Ne vous laissez pas impressionner par le nombre de contrôles de la fenêtre de chargement ; ils sont destinés aux résidents qui souhaitent pouvoir ajuster l'apparence et les propriétés physiques de leurs modèles de façon plus précise. Une description détaillée de la procédure de chargement est fournie plus bas. Pour charger un modèle de maillage : Choisissez un fichier .dae enregistré sur votre ordinateur en cliquant sur Construire > Charger > Modèle. Si vous ne disposez d'aucun modèle sur votre ordinateur, vous pouvez en télécharger un depuis la page d'exemples de contenu. Dans l'onglet Niveau de détail, prévisualisez les niveaux de détails de votre modèle automatiquement générés en les sélectionnant dans la liste déroulante Aperçu. Vous pourrez ainsi observer le degré de réduction de la complexité de l'objet à chaque niveau. Cliquez sur l'onglet Propriétés physiques, puis sur le bouton radio Utiliser le niveau de détail. Cliquez sur l'onglet Modificateurs et cochez les cases des éventuelles caractéristiques supplémentaires de votre modèle (par exemple, des textures). Cliquez sur Calculer les poids et les frais, puis vérifiez les poids des ressources, le coût d'équivalence en prims et le coût en Linden dollars de votre modèle. Cliquez sur Charger pour charger votre modèle dans Second Life. Astuce : pour éviter de dépenser des Linden dollars alors que vous essayez la fonctionnalité de chargement des modèles, vous pouvez utiliser la grille d'aperçu, également appelée « Aditi ». Elle vous permet de tester de nouvelles fonctions et d'éventuelles conceptions coûteuses dans un environnement sécurisé, en utilisant une copie de votre compte Second Life. Les opérations effectuées sur la grille d'aperçu n'affectent pas votre inventaire ou votre solde en L$ sur la grille principale de Second Life. Étape 1 : Choisir un modèle à charger Second Life prend en charge les modèles COLLADA (.dae), que vous pouvez créer et modifier dans de nombreux logiciels de modélisation en 3D connus. Si vous ne disposez d'aucun modèle COLLADA sur votre ordinateur à l'heure actuelle, vous pouvez en télécharger un depuis la page d'exemples de contenu. Pour commencer à charger un modèle : Choisissez Construire > Charger > Modèle... Sélectionnez le fichier .dae concerné sur votre ordinateur, puis cliquez sur Ouvrir. Dans la fenêtre Chargement du modèle, saisissez un nom approprié pour votre modèle dans le champ Nom. Si votre modèle comprend des textures, cliquez sur l'icône d'engrenage , puis choisissez Afficher les textures pour vous assurer que les textures apparaissent correctement. Étape 2 : Définir des niveaux de détails visuels Définition du niveau de détail Faible pour un arc architectural Les niveaux de détail déterminent l'apparence du modèle à diverses distances. Plus vous êtes éloigné, moins le rendu est détaillé afin d'augmenter les performances visuelles. Par défaut, Second Life génère des modèles de faible niveau de détail, mais vous pouvez utiliser cette étape pour essayer chaque niveau ou même charger vos propres modèles de faible niveau de détail. Pour prévisualiser votre modèle selon chaque niveau de détail, sélectionnez un niveau dans le menu déroulant Aperçu. Lors de la prévisualisation, vous pouvez modifier les paramètres utilisés pour simplifier le modèle d'origine sous le bouton radio Générer automatiquement. Une description complète de ces paramètres est disponible dans l'article Interface utilisateur de chargement de modèle. Vous pouvez également opter pour charger vos propres modèles simplifiés en choisissant Charger depuis un fichier. Il se peut que vous souhaitiez créer vos propres modèles de faible niveau de détail afin de préserver des détails essentiels susceptibles d'être perdus en cas de simplification automatique. Étape 3 : Définir la forme physique du modèle La forme physique d'un modèle, telle que le moteur physique de Second Life l'interprète pour calculer les collisions, peut différer de sa forme visuelle. Par exemple, vous pouvez simplifier un véhicule complexe en une forme physique carrée afin de disposer d'un véhicule à l'apparence complexe nécessitant un niveau de calcul physique relativement faible et ayant un impact réduit sur la capacité d'une région à traiter les objets physiques en mouvement. Il est possible de charger votre propre représentation physique sous forme de fichier .dae ou d'utiliser les outils d'analyse et de simplification de Second Life afin de générer automatiquement une forme physique. Le moyen le plus rapide de générer un modèle physique pour votre objet est de choisir Utiliser le niveau de détail, puis de sélectionner un niveau dans le menu déroulant. Le modèle physique est alors créé sur la base d'un des niveaux de détail visuels de votre modèle. Dans la mesure où des coûts physiques plus faibles sont préférables, veillez à choisir le niveau de détail le plus faible représentant la forme de votre modèle de façon acceptable. Vous pouvez ignorer l'Étape 1 : Analyse ou l'Étape 2 : Simplification, à moins que le modèle physique ne soit extrêmement complexe ou présente des lignes rouges dans la fenêtre d'aperçu. Pour plus de détails sur l'utilisation des outils d'analyse et de simplification physique, consultez l'article Interface utilisateur de chargement de modèle. Étape 4 : Modificateurs Avant de procéder au chargement, veillez à inclure tous les paramètres facultatifs requis dans l'onglet Modificateurs : Échelle : permet de modifier la taille de base du modèle. Si vous l'augmentez, le coût des ressources augmente. Inclure les textures : inclut les textures appliquées au modèle COLLADA. Elles sont automatiquement appliquées à la version Second Life du modèle lors du chargement. Inclure la pondération de la peau : inclut les informations de pondération de la peau du modèle COLLADA. Cette option s'applique uniquement aux modèles destinés à bouger et fléchir avec votre avatar lorsque ce dernier les porte en tant qu'éléments attachés. Inclure la position des articulations : inclut les informations de position des articulations provenant du fichier COLLADA. Cette option s'applique uniquement aux modèles destinés à modifier la position des articulations d'un avatar lorsque ce dernier les porte en tant qu'éléments attachés. Décalage Z du pelvis : modifie le positionnement vertical d'un modèle gréé. Étape 5 : Calculer les poids et les frais Lorsque vous cliquez sur Calculer les poids et les frais, Second Life calcule le poids du téléchargement, des propriétés physiques et serveur de votre modèle afin de déterminer son coût équivalent en prims et son coût de chargement en Linden dollars. Le coût de base en Linden dollars d'un chargement est de 10 L$ plus 10 L$ par texture appliquée au modèle, ainsi que des frais supplémentaires facturés en fonction de la complexité du modèle. Remarque : le tarif de base facturé pour le chargement d'un modèle de maillage a été temporairement fixé à 10 L$ pendant la durée de la bêta ouverte. Il est susceptible d'augmenter lorsque la fonctionnalité de chargement de maillage ne sera plus en mode bêta. Pour plus d'informations sur les poids et l'équivalence en prims, consultez l'article Calcul de l'équivalence en prims. Étape 6 : Charger le modèle Lorsque vous chargez un modèle, il apparaît dans le dossier Objets de votre inventaire. Comme pour tous les objets dans Second Life, vous pouvez alors le faire glisser de votre inventaire sur le sol ou le porter sous forme d'élément attaché. Bonus : Options de gréement (rigging) Cochez l'option Afficher la pondération de la peau pour obtenir un aperçu de l'apparence du modèle sur un avatar inactif. Les modèles gréés permettent de représenter le squelette de l'avatar sous forme de maillage conforme aux articulations et mouvements définis. Vous pouvez ainsi porter un modèle gréé modifiant la longueur et l'orientation des membres de votre avatar et s'animant en fonction. Si votre modèle COLLADA comprend des informations sur la position des articulations et la pondération de la peau, vous pouvez prévisualiser son apparence dans le cadre de l'animation par défaut d'un avatar inactif en cliquant sur l'icône d'engrenage de la fenêtre Chargement du modèle, puis en cochant l'option Afficher la pondération de la peau. Port de modèle avec gréement (rigging) Pour porter un modèle gréé, cliquez-droit dessus dans votre inventaire, puis sélectionnez Porter. Il est souvent préférable d'associer un masque alpha à un modèle gréé afin que la forme normale de l'avatar n'apparaisse pas. Traducción de Linden Lab. Requisitos previos Coste del envío ASPECTOS BÁSICOS: subir el primer modelo Paso 1: elegir el modelo que deseas subir Paso 2: definir los niveles de detalle visual Paso 3: definir la forma física del modelo Paso 4: modificadores Paso 5: calcular pesos y precio Paso 6: subir Sección de bonus: opciones de rigging Vestir un modelo con rigging In other languages: English Deutsch Français Português Italiano 日本語 Nota: Aquí se explican de una forma básica todos los pasos que hay que dar para enviar un modelo. Puedes consultar todos los detalles de los parámetros disponibles para subir un modelo en Referencia de la IU para subir modelos. Requisitos previos Para poder enviar objetos de malla, primero debes: Haber registrado la información de pago. Para añadir tus datos de pago, visita la sección Datos de facturación de la página de tu cuenta en Second Life. Completa el Tutorial de PI de malla (si utilizas la cuadrícula beta de Aditi, pulsa aquí), para comprobar si conoces las reglas de la propiedad intelectual. Para poder subir un contenido de malla, debes ser el titular de los derechos o tener el permiso de su propietario. La violación de los derechos de propiedad intelectual puede causar la suspensión o la cancelación de tu cuenta de Second Life e incluso la revocación permanente de tu capacidad para subir objetos de malla. Debes tener por lo menos un archivo COLLADA (.dae) compatible en tu equipo. Puedes crear tu propio archivo con la mayoría de los paquetes de software 3D más conocidos o, si tienes los derechos necesarios, puedes descargar modelos creados por otros artistas 3D desde los almacenes online. Si no tienes experiencia, en nuestra página contenido de ejemplo puedes obtener un modelo gratuito. Puedes comprobar tu estado de subida de malla en cualquier momento en la página de tu cuenta del sitio web de Second Life. Coste del envío Enviar un modelo tiene un precio en dólares Linden, que depende de lo complejo que sea. Durante el periodo beta el precio está rebajado. ASPECTOS BÁSICOS: subir el primer modelo Si no tienes experiencia en el envío de modelos de malla a Second Life, aquí te ofrecemos unas instrucciones rápidas y sencillas para empezar. De momento no tienes que preocuparte por la gran cantidad de controles de la ventana de subida; son para los residentes que desean un mayor control sobre la física y el aspecto de sus modelos. Sigue leyendo para conocer mejor los detalles del procedimiento de subida. Para subir un modelo de malla: Elige un archivo .dae de tu equipo, seleccionando Construir > Subir > Modelo. Si no guardas ningún modelo en tu equipo, puedes descargar uno desde la página contenido de ejemplo. Puedes ver los niveles de detalle del modelo que se generan automáticamente en la pestaña Nivel de detalle, seleccionándolos en la lista desplegable Vista previa. Observa cómo disminuye la complejidad del objeto en cada nivel. Selecciona la pestaña Física y pulsa el botón de opción Usar nivel de detalle. Pulsa la pestaña Modificadores y selecciona las casillas de otras características que desees añadir al modelo, como texturas. Pulsa en Calcular pesos y precio y después examina el peso de los recursos, el coste equivalente en prim y el precio en dólares Linden de tu modelo. Pulsa en Subir para enviar tu modelo a Second Life. Sugerencia: Para no tener que gastar dólares Linden mientras experimentas con la subida de modelos, puede resultarte conveniente utilizar la cuadrícula de pruebas, que también se llama "Aditi". En la cuadrícula de pruebas puedes probar las nuevas características y experimentar con diseños que podrían ser muy caros en un entorno seguro, con una copia de tu cuenta de Second Life. Las acciones realizadas en la cuadrícula de pruebas no afectan a tu inventario ni al saldo de L$ que tienes en la cuadrícula principal de Second Life. Paso 1: elegir el modelo que deseas subir Second Life acepta modelos COLLADA (.dae), que puedes crear y modificar en muchos de los paquetes de software de modelado 3D más conocidos. Si no tienes ningún modelo en tu equipo, puedes descargar uno desde la página contenido de ejemplo. Para empezar a subir un modelo: Elige Construir > Subir > Modelo... Selecciona el archivo .dae en tu equipo y pulsa en Abrir. En el campo Nombre de la ventana Subir modelo, escribe un nombre adecuado para el modelo. Si el modelo contiene texturas, pulsa en el Icono Accesorios y elige Mostrar texturas para asegurarte de que se muestren correctamente las texturas. Paso 2: definir los niveles de detalle visual Definición de un nivel de detalle bajo para un arco arquitectónico. El nivel de detalle determina el aspecto del modelo cuando se mira desde varias distancias. Cuando te alejas de un modelo, los detalles disminuyen para mejorar su rendimiento visual. Second Life genera estos modelos con menos detalles de manera predeterminada, pero este paso puede servirte para retocar cada nivel o incluso para enviar tus propios modelos de bajo detalle. Puedes probar el modelo en cualquier nivel de detalle, seleccionando un nivel en el menú desplegable Vista previa. Mientras observas una vista previa de cada nivel de detalle del modelo, puedes cambiar los parámetros que lo simplifican con respecto al modelo original, con el botón de opción Generación automática. Puedes consultar todos los detalles de los parámetros en Referencia de la IU para subir modelos. También puedes subir tus propios modelos simplificados, si eliges Cargar desde archivo. Puede resultarte conveniente crear tus propios modelos de bajo detalle para conservar detalles importantes que podrían perderse durante el proceso de simplificación automática. Paso 3: definir la forma física del modelo La forma física de un modelo, según la interpretación del motor de física de Second Life para el cálculo de colisiones, puede no ser igual que la forma visual. Por ejemplo, podría convenirte simplificar un vehículo muy complicado dándole la forma física de una caja cuadrada, que te permite trabajar con un vehículo visualmente complejo pero requiere relativamente menos cálculos de física y no acapara los recursos de la región para procesar los objetos físicos en movimiento. Puedes subir tu propia representación física como un archivo .dae o generar automáticamente una forma física con las herramientas de análisis y simplificación de Second Life. La forma más rápida de generar un modelo físico para un objeto consiste en seleccionar Usar nivel de detalle y elegir un nivel de detalle en el menú desplegable. Esto crea un modelo físico basado en uno de los niveles de detalle visual del modelo. Recuerda que es recomendable disminuir al mínimo el coste físico, de manera que elige el nivel de detalle más bajo que represente razonablemente la forma del modelo. Solo necesitas completar el Paso 1: Análisis o el Paso 2: Simplificación si el modelo físico es muy complejo o muestra líneas rojas en la ventana de prueba. Puedes consultar información avanzada sobre la utilización de las herramientas de análisis físico y simplificación en Referencia de la IU para subir modelos. Paso 4: Modificadores Antes de subir el modelo, asegúrate de incluir todos los parámetros opcionales necesarios en la pestaña Modificadores: Escala: cambia el tamaño básico del modelo. Un aumento de escala consume más recursos. Incluir texturas: incluye todas las texturas aplicadas al modelo COLLADA. Las texturas se aplican automáticamente a la versión del modelo en Second Life al subirlo. Incluir el peso de la piel: incluye toda la información de peso de piel del modelo COLLADA. Esta opción sólo es aplicable a los modelos diseñados para moverse y flexionarse con el avatar cuando éste los lleva puestos como anexos. Incluir postura de las articulaciones: incluye información de la postura de las articulaciones del archivo COLLADA. Esta opción sólo es aplicable a los modelos diseñados para modificar la postura de las articulaciones de un avatar cuando éste las lleva puestas como anexos. Desplazamiento Z de pelvis: cambia la posición vertical de un modelo con rigging. Paso 5: calcular pesos y precio Al pulsar en Calcular pesos y precio, Second Life calcula el peso de descarga, de física y de servidor del modelo, para determinar su coste equivalente en prim y el precio de subirlo en dólares Linden. El precio base de subida en dólares Linden es de L$10 más L$10 por cada textura aplicada al modelo, y un coste adicional que depende de la complejidad del modelo. Nota: El precio base de L$10 por subir un modelo de malla es una tarifa provisional durante el periodo de la beta abierta. Este precio puede subir cuando finalice la beta abierta de la función de subida de malla. Si deseas más información sobre pesos y equivalencia en prim, consulta Calcular el peso equivalente en prim. Paso 6: subir Cuando subas un modelo, se depositará en la carpeta Objetos de tu inventario. Como cualquier otro objeto de Second Life, después puedes arrastrarlo desde el inventario al terreno o incluso ponértelo como anexo. Sección de bonus: opciones de rigging Consulta Mostrar el peso de la piel para probar cómo quedará el modelo en un avatar libre. Los modelos con rigging te permiten representar tu avatar básico como una malla con tus articulaciones y movimientos. Es decir, puedes ponerte un modelo con rigging que cambie la longitud y orientación de las extremidades del avatar, con las animaciones consecuentes. Si tu modelo COLLADA contiene información de la postura de las articulaciones y el peso de la piel, puedes probar como quedará con una animación libre predeterminada del avatar, pulsando en el Icono Accesorios de la ventana Subir modelo y seleccionando la opción Mostrar el peso de la piel. Vestir un modelo con rigging Para ponerte un modelo con rigging, pulsa con el botón derecho en el inventario y selecciona Ponerme. También puede convenirte a veces usar un modelo con rigging y una capa Alfa para ocultar la forma normal del avatar. Diese Übersetzung wird von Linden Lab bereitgestellt. Voraussetzungen Uploadkosten ERSTE SCHRITTE: Hochladen Ihres ersten Modells Schritt 1: Hochzuladendes Modell auswählen Schritt 2: Detailstufen festlegen Schritt 3: Physische Form des Modells festlegen Schritt 4: Modifizierer Schritt 5: Gewichte und Gebühr berechnen Schritt 6: Hochladen Zusätzliche Informationen: Rigging-Optionen Modell mit Rigging tragen In other languages: English Español Français Português Italiano 日本語 Note: This is a basic walkthrough of how to upload a model. For full details on the parameters available for uploading a model, see Model Upload UI reference. Hinweis: Dieser Artikel enthält grundlegende Anweisungen zum Hochladen eines Modells. Ausführliche Details zu den Parametern, die beim Hochladen eines Modells verfügbar sind, finden Sie in der UI-Referenz zum Hochladen eines Modells. Voraussetzungen Bevor Sie Netzobjekte hochladen können, müssen folgende Voraussetzungen erfüllt sein: Sie müssen Zahlungsinformationen hinterlegt haben. Dies können Sie im Abschnitt Rechnungsinformationen auf der Second Life-Kontoseite tun. Sie müssen das Tutorial „Mesh IP“ durchgearbeitet haben (bei Verwendung des Aditi-Beta-Grids hier zu finden). Dabei wird Ihr Wissen zum Thema geistiges Eigentum geprüft. Stellen Sie vor dem Hochladen des Netzinhaltes sicher, dass Sie die Rechte an diesem Inhalt besitzen bzw. vom Rechtsinhaber eine Nutzungsgenehmigung erhalten haben. Verstöße gegen die Rechte am geistigen Eigentum anderer können zur Sperrung oder Kündigung Ihres Second Life-Accounts bzw. zum dauerhaften Verlust der Fähigkeit, Netzobjekte hochzuladen, führen. Sie benötigen mindestens eine kompatible COLLADA-Datei (.dae) auf Ihrem Computer. Sie können mit einem kommerziell erhältlichen 3D-Softwareprogramm ein eigenes Netz erstellen oder, sofern Sie die entsprechenden Rechte besitzen, von anderen 3D-Künstlern erstellte Modelle aus einem Online-Repository herunterladen. Zu Lernzwecken können Sie das kostenlose Modell von unserer Seite mit Beispielinhalten verwenden. Auf der Kontoseite der Second Life-Website können Sie jederzeit den Uploadstatus Ihres Netzes ausfindig machen. Uploadkosten Zum Hochladen eines Modells wird eine Gebühr in Linden-Dollar berechnet, die von der Komplexität des Modells abhängig ist. Während der Betaphase ist diese Gebühr ermäßigt. ERSTE SCHRITTE: Hochladen Ihres ersten Modells Wenn Sie noch nie ein Netzmodell in Second Life hochgeladen haben, sollen Ihnen die folgenden Anweisungen den Einstieg erleichtern. Machen Sie sich keine Gedanken wegen der zahlreichen Optionen im Hochladefenster; sie sind für Einwohner gedacht, die das Aussehen und die physische Form ihres Modells gezielt steuern möchten. Detaillierte Informationen zum Hochladen finden Sie im Anschluss an diesen Überblick. So laden Sie ein Netzmodell hoch: Wählen Sie unter Bauen > Hochladen > Modell eine auf dem Computer gespeicherte .dae-Datei aus. Wenn Sie noch keine Modelle haben, können Sie von unserer Seite mit Beispielinhalten Modelle herunterladen. In der Registerkarte Detailstufe können Sie über das Dropdown-Menü Vorschau die für das Modell automatisch generierten Detailstufen genauer überprüfen. Die Komplexität des Objekts wird bei jeder Stufe zunehmend geringer. Klicken Sie auf die Registerkarte Physik und dort auf das Optionsfeld Detailstufe verwenden. Klicken Sie auf die Registerkarte Modifizierer und markieren Sie die Kästchen für alle zusätzlichen Modelleigenschaften, wie beispielsweise Texturen. Klicken Sie auf Gewichte und Gebühr berechnen und überprüfen Sie dann die Ressourcengewichte, Prim-Äquivalenzkosten und die Kosten des Modells in Linden-Dollar. Klicken Sie auf Hochladen, um das Modell in Second Life hochzuladen. Tipp: Wenn Sie das Hochladen von Modellen ausprobieren möchten, ohne Linden-Dollar auszugeben, können Sie das Vorschaugrid (auch „Aditi“ genannt) verwenden. Das Vorschaugrid ist eine sichere Umgebung, in der Sie anhand einer Kopie Ihres Second Life-Kontos neue Funktionen testen und mit potenziell teueren Designs experimentieren können. Aktivitäten im Vorschaugrid haben keinen Einfluss auf Ihr Inventar oder Ihren L$-Kontostand im Hauptgrid von Second Life. Schritt 1: Hochzuladendes Modell auswählen Second Life akzeptiert COLLADA-Modelle (.dae), die in gängigen 3D-Modellierungsprogrammen erstellt und bearbeitet werden können. Wenn Sie noch keine COLLADA-Modelle haben, können Sie von unserer Seite mit Beispielinhalten Modelle herunterladen. So beginnen Sie mit dem Hochladen eines Modells: Wählen Sie Bauen > Hochladen > Modell... Wählen Sie die gewünschte .dae-Datei auf Ihrem Computer aus und klicken Sie dann auf Öffnen. Geben Sie im Fenster „Modell hochladen“ einen geeigneten Namen für das Modell in das Feld Name ein. Wenn Ihr Modell Texturen aufweist, klicken Sie auf das Zahnradsymbol und markieren Sie Texturen anzeigen, damit die Texturen korrekt dargestellt werden. Schritt 2: Detailstufen festlegen Niedrige Detailstufe für einen architektonischen Bogen. Die Detailstufen bestimmen, wie ein Modell aus unterschiedlichen Entfernungen aussieht. Je weiter Sie sich vom Modell entfernen, desto weniger Details sehen Sie. Dadurch wird die visuelle Leistung gesteigert. Diese weniger detaillierten Modelle werden von Second Life automatisch erstellt, aber anhand dieses Schritts können Sie jede Stufe wie gewünscht anpassen und sogar Modelle mit weniger Details hochladen. Durch Auswahl einer Detailstufe im Dropdown-Menü Vorschau können Sie jederzeit sehen, wie Ihr Modell bei einer bestimmten Detailstufe aussieht. Bei der Vorschau des Modells können Sie unter dem Optionsfeld Automatisch generieren die Parameter ändern, die zur Vereinfachung ausgehend vom ursprünglichen Modell verwendet wurden. Ausführlichere Informationen zu diesen Parametern finden Sie in der UI-Referenz zum Hochladen eines Netzes/Modells. Wenn Sie möchten, können Sie durch Auswahl von Aus Datei laden eigene vereinfachte Modelle hochladen. Sie können selbst weniger detaillierte Modelle erstellen, um wichtige Details beizubehalten, die bei der automatischen Vereinfachung u. U. verloren gehen. Schritt 3: Physische Form des Modells festlegen Die von der Physik-Engine von Second Life zum Berechnen von Kollisionen verwendete physische Form eines Modells kann sich von seiner visuellen Form unterscheiden. Ein sehr komplexes Fahrzeug lässt sich beispielsweise zu einer rechteckigen physischen Form vereinfachen. Das Resultat ist ein komplex aussehendes Fahrzeug, das einen relativ niedrigen Berechnungsaufwand erfordert und die Fähigkeit der Region, sich bewegende physische Objekte zu verarbeiten, nicht übermäßig strapaziert. Sie können Ihre eigene physische Darstellung als .dae-Datei hochladen oder die Analyse- und Vereinfachungstools von Second Life verwenden, um die physische Form automatisch zu generieren. Um schnell ein Physikmodell für Ihr Objekt zu erstellen, markieren Sie Detailstufe verwenden und wählen Sie im Dropdown-Menü eine Detailstufe aus. Dadurch wird ein Physikmodell erzeugt, das auf einer der visuellen Detailstufen Ihres Modells basiert. Denken Sie daran, dass die Physikkosten so niedrig wie möglich gehalten werden sollen. Wählen Sie also die niedrigste Detailstufe, die die Form Ihres Modells noch adäquat wiedergibt. Sie brauchen Schritt 1: Analyse und Schritt 2: Vereinfachung nur dann durchzuführen, wenn Ihr Physikmodell extrem komplex ist oder im Vorschaufenster rote Linien aufweist. Weitere Informationen zur Nutzung der Analyse- und Vereinfachungstools für Physikmodelle enthält die UI-Referenz zum Hochladen eines Netzes/Modells. Schritt 4: Modifizierer Wählen Sie vor dem Hochladen in der Registerkarte Modifizierer alle optionalen Parameter aus, die für Ihr Modell erforderlich sind: Skalieren: Ändert die Basisgröße Ihres Modells. Eine Erhöhung der Skalierung führt zur Erhöhung der Ressourcenkosten. Texturen einschließen: Schließt alle auf das COLLADA-Modell angewendeten Texturen ein. Die Texturen werden nach dem Hochladen automatisch auf die Second Life-Version des Modells angewendet. Skingewicht einschließen: Schließt im COLLADA-Modell enthaltene Informationen zum Skingewicht ein. Diese Option bezieht sich nur auf Modelle, die sich zusammen mit einem Avatar bewegen und biegen sollen, wenn sie als Anhang getragen werden. Gelenkpositionen einschließen: Schließt in der COLLADA-Datei enthaltene Informationen zu Gelenkpositionen ein. Diese Option bezieht sich nur auf Modelle, die die Gelenkpositionen eines Avatars ändern sollen, wenn sie als Anhang getragen werden. Z-Versatz Becken: Ändert die vertikale Positionierung eines geriggten Modells. Schritt 5: Gewichte und Gebühr berechnen Wenn Sie auf Gewichte und Gebühr berechnen klicken, berechnet Second Life das Download-, Physik- und Servergewicht Ihres Modells, um dessen Prim-Äquivalenzkosten und die Uploadkosten in Linden-Dollar zu ermitteln. Die Grundkosten für den Upload betragen 10 L$ zuzüglich 10 L$ pro auf das Modell angewendete Textur und einen Zuschlag, der von der Komplexität des Modells abhängig ist. Hinweis: Die Grundkosten von 10 L$ zum Hochladen eines Netzmodells sind ein temporärer Tarif während der öffentlichen Betaphase. Nach Abschluss der öffentlichen Betaphase kann sich diese Gebühr erhöhen. Weitere Informatonen zu Gewichten und zur Prim-Äquivalenz finden Sie unter Prim-Äquivalenzgewicht berechnen. Schritt 6: Hochladen Nachdem Sie ein Modell hochgeladen haben, erscheint es im Objektordner in Ihrem Inventar. Wie bei allen Objekten in Second Life können Sie das Modell aus dem Inventar auf den Boden ziehen oder als Anhang tragen. Zusätzliche Informationen: Rigging-Optionen Markieren Sie Skingewicht anzeigen, um in einer Vorschau zu prüfen, wie das Modell auf einem inaktiven Avatar aussieht. Anhand von geriggten Modellen können Sie Ihr Avatar-Skelett als Netz darstellen, das sich an Ihre Gelenke und Bewegungen anpasst. Sie können also ein geriggtes Modell tragen, das die Länge und Ausrichtung der Gliedmaßen Ihres Avatars ändert und entsprechend animiert wird. Wenn Ihr COLLADA-Modell Informationen zu Gelenkpositionen und Skingewicht enthält, können Sie in einer Vorschau prüfen, wie es bei der Standardanimation eines inaktiven Avatars aussieht. Klicken Sie hierzu im Fenster „Modell hochladen“ auf das Zahnradsymbol und markieren Sie Skingewicht anzeigen. Modell mit Rigging tragen Um ein geriggtes Modell zu tragen, klicken Sie im Inventar mit der rechten Maustaste auf das Modell und wählen Sie Tragen. In vielen Fällen empfiehlt es sich, bei einem geriggten Modell eine Alphamaske zu verwenden, um die normale Form des Avatars zu verdecken.